The advantages of online submission over standard mail are so numerous, so obvious, so clear, so superior in nearly every way; still, sometimes I miss waiting in line at the post office, where no one else seemed to be sending overlong stories to The New Yorker. I miss holding the envelopes against my side so no one might see that I was also simultaneously submitting to The Atlantic, Harper’s, and The Paris Review. I always feared someone in line turning to me and saying, “Don’t you think that’s a little bit unrealistic?” But there was a pleasure in placing the envelopes on a scale and finding out—surprise!—how much it costs to send a thirty-two-page story to Boston. I miss buying a book of stamps for my next round of SASEs. I miss the receipt I always kept for no reason whatsoever. There were other pleasures, too. I had a ritual for writing out SASEs, a problem for me, since my handwriting is terrible, but I could cover well enough by printing in all caps. I would set a stack of #10 envelopes on my writing desk and print my name and address so many times, over and over again, until my name seemed alien to me, my address some foreign port I’d yet to visit. After, I would place a stamp in the top right hand corner with the same studied care I used whenever I had to affix a registration decal to my license plate. Next, I would paper clip the SASE to the back of my submission and cover letter—it was part of the ritual that the SASE must be hidden from immediate view since I didn’t want the editor thinking about rejecting my story before encountering the first page—and slide it into the envelope, where I hoped I would never see it again. For the manuscript, I preferred staples to paper clips, and sort of miss the days when “staples or paper clips?” was as familiar a question at AWP panels as “how do I get an agent?” or “where do you get your ideas from?” Another loss: the feeling of reloading my stapler with a fresh, gleaming row of staples. Testing the first staple, always a misfire, so that the next staple might pass through. I liked to send my stories from the post office, even if I had sufficient postage at home, since I believed that a postmarked story had a better chance of getting accepted than a stamped one. I refused to use commemorative stamps, worried that some editor might start thinking about Edith Wharton or Ernest Hemingway or Mark Twain or some other vastly superior writer, rather than my homely stuff. 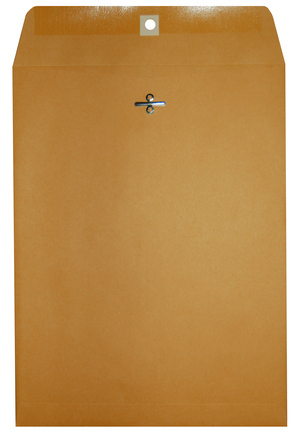 I always used brown manila envelopes, never white, never Tyvek. Never priority mail: too desperate. But there’s one ritual I miss more than any other: opening a rejection slip from some distinguished magazine I had no hope in the world of getting accepted by, and finding even the slightest written note. Sorry, not this one, or, Try us again? I would read those notes more times than I’d like to admit, hieroglyphs, I believed, to my certain future.